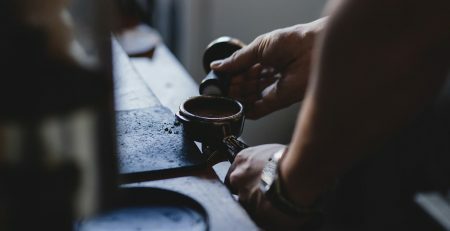 Keurig is one of the most recognizable brands in the coffee industry, and their single-serve brewers are some of the best around. That’s why we were so excited to get our hands on the Keurig K130 Brewing System. It’s one of the most affordable in the Keurig line-up, but it’s every bit as good as the other machines that we have tested. It’s simple, but it does the job well. A closer look at Keurig K130 Brewer. Did you know that the Keurig K130 is the same machine used in hotel and motel rooms all over the country? A coffee machine has to be reliable and well-built if it’s going to be used in the hospitality industry. Like all other Keurig machines, the Keurig K130 uses the K-Cup system. We have personally love K-Cups because they’re so convenient. We never have to spend extra time grinding beans or measuring. All we have to do is just pop in the K-Cup and start brewing. And with this model, you also have the option of buying a reusable K-Cup holder, so you can use your own coffee if you want. Aside from coffee, you can also brew tea, hot cocoa and even iced beverages in Keurig K130. The versatility of the K130 is one feature we like most, and something that most Keurig single-serve machines offer. The internal reservoir holds just enough water for a single 8oz. serving. But that’s all the water you’ll need as this brewer makes just one cup at a time. And pictorial instructions are included on the side of the machine to ensure you use it properly. A mug sensor and automatic shutoff feature are also included. The Keurig K130 doesn’t come with a ton of features. It’s a simple design that works well, and it brews a great cup of coffee. At the end of the day, that’s really all that matters. Because the Keurig K130 is a simple machine, clean-up is easy. The exterior wipes clean with a sponge or rag. The reservoir isn’t removable, but it comes clean with a simple vinegar/water brewing cycle. Maintenance is easy. Just be sure to keep the machine clean and follow the usage directions properly. Keurig designed the K130 for commercial use, so it’s built to withstand extensive use and abuse. I’m confident that if you take care of this machine, it will last for quite a few years. Would you believe me if we told you the K130 is very affordable? Most machines in the brand’s lineup cost $100+. You can get your hands on the K130 for less than the cost of most entry-level coffee makers. And you still get the same Keurig quality. 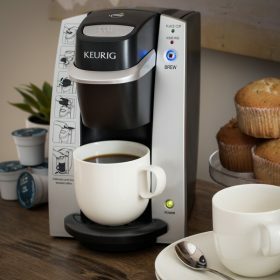 It sounds silly, seeing as the Keurig K130 is a single-serve coffee maker, but we would have liked to have the option of brewing more than one cup of coffee at a time. Other Keurig machines (like the K45) give you this option, but the K130 doesn’t. However, the brew time is so quick, it really isn’t a major concern. The Keurig K130 is a great brewer for single coffee drinkers. 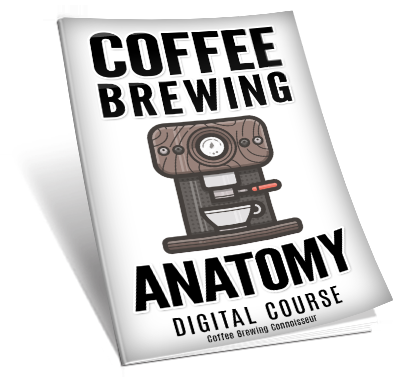 It’s quick, efficient and brews up a quick cup of great-tasting coffee. 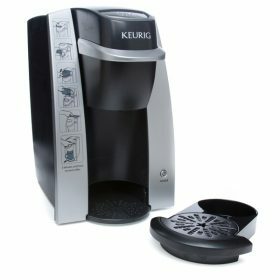 We highly recommend Keurig K130 Single Serve Brewer. ‘The Bachelor’ Star Ben Higgins Launches Generous Coffee Co.